Laguna, a one to two-hour drive from Manila is a place for many exciting adventures. 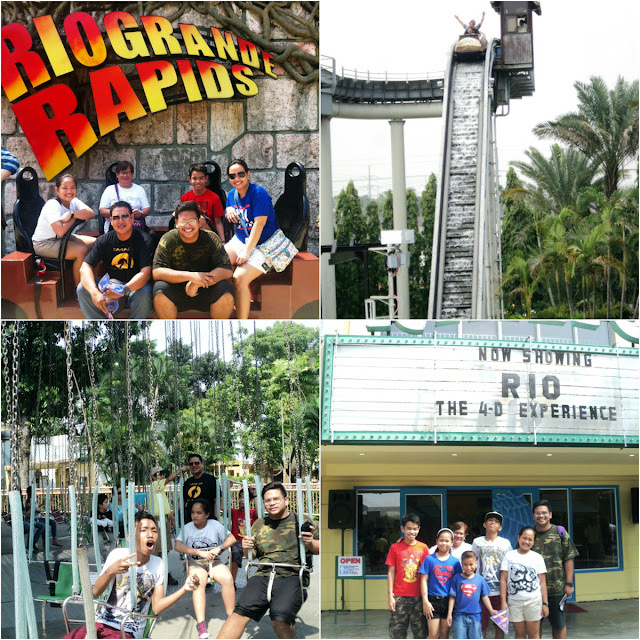 Last weekend, our company held our annual family day at one of the best amusement parks in the country, Enchanted Kingdom. And as you can imagine, the kids had a grand time! There are a lot of attractions to choose from, ranging from kids to teens to family and to extreme attractions, depending on your health and need for Adrenalin rush. And i just realized that I am just old because I would rather sit down under the shade and enjoy people watching, hahaha! But I was able to enjoy the Rio Grande Rapids (went 2x), the Rialto (enjoyed Rio, was really for kids), almost cried at the Jungle Log Jam, almost puked at the Flying Fiesta, just closed my eyes at the roller skater, caught a breather at the ferris wheel and enjoyed the carousel. Oh, and I also tried the bump car, and that's just about it for me. But it was another kind of adventure for my kids. They had the time of their lives with their friends and cousins. They enjoyed lining up at the rides even though it was almost an hour long waiting time since it was already open to the public at noon (it was exclusive to our company from 8-11am). 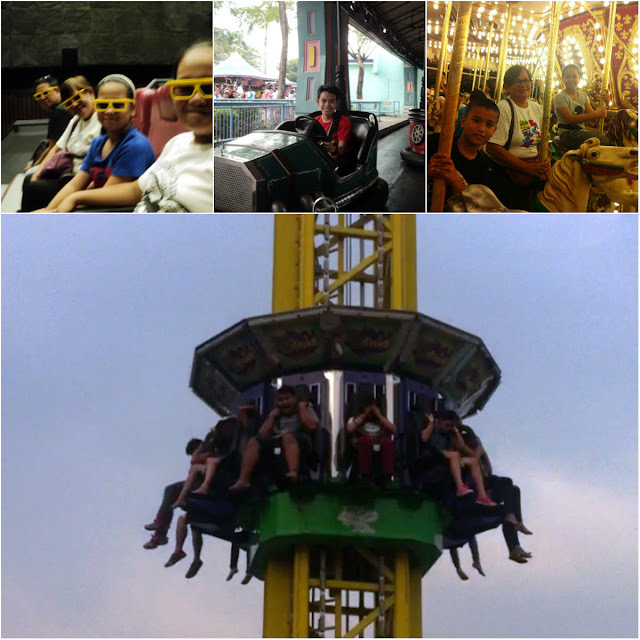 And by 8pm, the adults were begging to go home while the kids were begging for one last ride, hahaha. But it was a day well-spent with the family and friends for a fraction of the cost. Note: there are promos and discounts so remember to check their website. 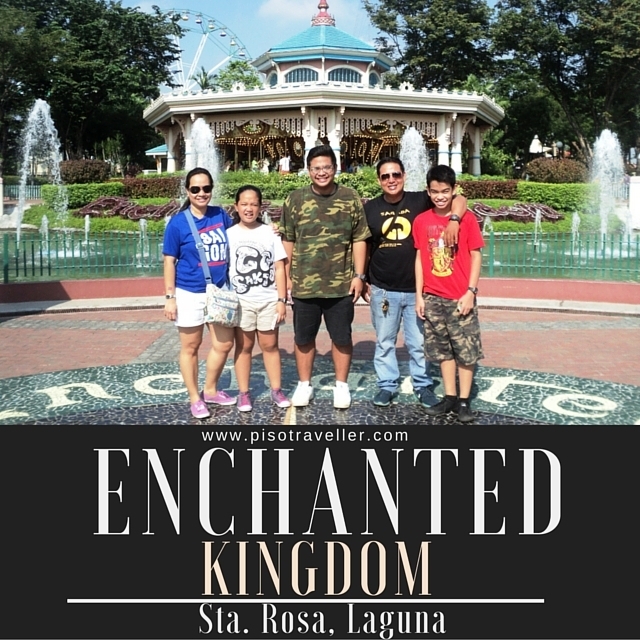 The park is located at San Lorenzo South, Sta Rosa, Laguna. If taking SLEX, take the Sta Rosa Exit and turn right to the park. If taking public transportation, check this out.